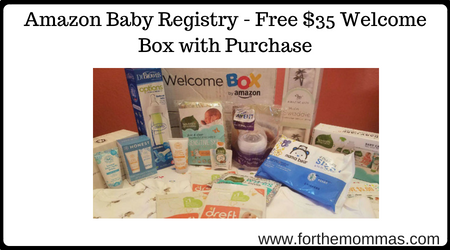 Don’t miss out on this deal that will score you FREE Amazon Baby Welcome Box filled with baby products worth $35. You’ll need an Amazon Baby Registry (free to sign up) and Amazon Prime (free trial available!). Amazon Prime and Amazon Baby Registry also come with their own HOT perks such as special deals, Free 2 day Shipping and Free Prime Videos.